The 921 Guide Book Committee shall be responsible for coordination of and compilation of information and subject matter expertise as requested by Jones and Bartlett, publisher of the 921 Guide Book, which is in cooperation with J&B Learning, IAFC, NFPA, and the IAAI. The committee may also be responsible for soliciting submitals of requested materials. The IAAI Advocacy Committee is responsible for educating IAAI members on how to interact with elected and appointed officials by teaching them how to build relationships of trust so they may become a resource on fire investigative matters. 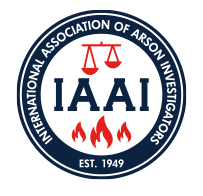 Furthermore, Committee members will educate policy makers and opinion leaders on the role the IAAI and its Chapters play in the fire investigation profession. Download the SOPs. The Advocacy Committee would like to track key contacts made with legislators, government agencies, and industry organizations, as well as presentations made on behalf of IAAI. If you or a Chapter Member makes a key contact, please fill out the Advocacy Activity Report Form and submit it to Roger Krupp. The duties of the Committee are to review upon written request, actions taken by the Board of Directors resulting in adverse action being imposed upon any officer, member of the Board of Directors, or members of the Association. The Standing Committee consists of five (5) active participating Past Presidents with the exception of the incoming Past President. The Arson Awareness Week Committee shall be responsible for the design and implementation of any Arson Awareness Week campaigns promoted by the IAAI and the U.S. Fire Administration. Arson Awareness Week is the first week of May each year. The duties of the Awards Committee shall be to actively encourage nominations for the various IAAI awards from the Chapters and total membership, determine the eligibility of the nominees, review and examine the information of eligible nominees, and to determine the most qualified nominees(s) and recommend a recipient for each IAAI award. The Budget and Finance Committee shall be responsible for all financial matters involving dues, expenses, income, salaries, and/or honorariums incurred by or on behalf of the Association. In addition, the committee will see the proper planning and budgeting is carried out during the year. An annual audit will be conducted by the Committee in accordance with Article VIII, Section 2. Download the SOPs. The purpose of the Career Path Committee shall be to identify the different professional careers related to fire investigation, articulate the importance of these careers in respect to the industry and our communities, and to identify possible and recommended educational, training, and job experience paths that might be best suited for those careers. The duties of the Certified Fire Investigators Committee shall be the general administration of the Certified Fire Investigator program in accordance with the Practice and Procedures Manual of the IAAI. Additionally, the committee shall be responsible for promoting and encouraging participation in the Certified Fire Investigators program by all qualified persons. Download the SOPs. The duties of the CFI Core Curriculum Committee is to provide oversight and recommendation of the different curriculum (references and publications) providing the foundations and standards of the CFI program, including updates of recommended reading, study guides, program materials and examinations. The CFITrainer.net Steering Committee assists the CFITrainer.net Steering Committee Chair, Project Manager, and Stonehouse Media (the website host and video production company) in the selection of topics, subject matter experts, resources and references for the training platform. The committee works closely with the Education & Training Committee to ensure there is continuity, consistency, and wherever relevant, compliments to other IAAI training programs. The Chair, Project Manager, and identified IAAI office staff also manage and administer the FEMA AFG/SAFER grant criteria that support CFITrainer.net. The duties of the Chapters Committee shall be to promote, encourage, and assist in the formation of new chapter in the Association. The Committee shall, following review, make recommendations to the Association on applications received for new chapter charters. The Committee shall review the activities of all chartered chapters and make recommendations to the Association regarding the chapters. Download the SOPs. The duties of the Constitution and By-Laws Committee shall be to advise the officers, directors, and members of the Association on matters pertaining to the Constitution and By-Laws. In the event of proposed changes, it shall further be the duty of the committee to review and prepare the proposed changes in a suitable format for presentation to the officers, directors, and members of the Association. Additionally, the Committee shall serve in a review capacity for the Standard Operating Procedures for the committees of the Association. The duties of the Election Committee shall include the publication of ballots and procedures for voting, the administration of the voting at the annual meeting, and the security and tallying of all votes cast. Download the SOPs. The duties of the Ethical Practices and Grievances Committee shall be to investigate any and all allegations of misconduct directed toward the officers, directors, or members of the Association. Allegations of misconduct shall include, but are not limited to the following: (1) criminal offenses, (2) neglect of duty, (3) violation of the Code of Ethics, policies, rules or procedures of the Association, and (4) conduct that tends to reflect unfavorably on the member of the Association. These duties also include the investigations of violations of Chapter 7 of the Certified Fire Investigators Practice and Procedures Manual. Following the completion of an investigation, the Committee shall forwards the result and recommendations in writing to the officers and directors of the Association for final action. Download the SOPs. The duties of the FISC shall be to educate FISC members and IAAI members of the relationship between the IAAI and the National Fire Protection Association (NFPA), the NFPA Standards-Making Process, and how IAAI members can become involved in creating or revising NFPA documents. The Committee shall also keep the IAAI Board and membership informed of issues relating to NFPA 921, NFPA 1033, and the developments and proposed changes of these documents. The Committee is also responsible for submitting an article for publication, “FISC Bulletin Board” for each issue of the F&AI Journal. The IAAI is committed to not only truth in fire investigations but the safety of the fire investigation community. The Health and Safety Committee is dedicated to promoting health and safety knowledge, awareness, discussion, and action among the members of the IAAI and the fire investigation community in general by providing health and safety information and best practice guidelines. The committee is also responsible for providing information and studies to include on the IAAI member resources website, collaborate with the Advocacy Committee to produce relevant legislative actions, and collaborate with the Education and Training Committee (T&E) to produce training materials and courses in respect to fire investigator health and safety. Download the SOPs. The Insurance Training and Membership Advisory Committee is responsible for understanding and making appropriate recommendations in respect to membership and training for those insurance industry professionals working in fire loss. In addition to recommending training needs specific to this group, the committee will also develop regular communication, determine which insurance industry groups with whom the IAAI should partner, and assist with understanding insurance industry certification and continuing education needs and requirements. Download the SOPs. The International Language committee is responsible for identifying opportunities throughout the IAAI that would benefit from translation services so as to provide improved communication with our worldwide membership. The duties of the Membership Committee shall be to promote, encourage and solicit membership in the Association through any appropriate means. In addition, the Committee shall develop and recommend guidelines to the Board relative to annual cost, levels, and benefits of sustaining membership. Download the SOPs. The duties of the Photographic Committee shall be to photographically document activities each year at the IAAI Annual Conference. The Committee is also responsible for actively soliciting submittals for the Annual Photo Competition, held in conjunction with the Annual Conference, and shall serve as the judging panel for those submissions. The purpose of the PI National License Committee is to maintain a level of awareness with respect to individual state licensing requirements as well as any considerations of a national licensing requirement for those working in the fire investigation profession. The purpose of the Public Agency Advisory Committee is to maintain a level of awareness and provide insight, leadership, and resources to those public agencies that are anticipating or experiencing industry change or adverse public relations issues with respect to fire investigation. Assisting organizations and communities with the development of Multidisciplinary Science Review Panels are the responsibility of this committee. The duties of the Review and Publication Review Committee is to establish guidelines for the professional and objective review of articles, resources, information and documents to post for IAAI membership, whether online or for publication in the Fire & Arson Investigator Journal. The Committee is comprised of four sub-committees (Fire & Arson Practitioner, Forensic Science & Engineering, Insurance, and Legal) that will provide an objective review of all items submitted for publication or release. The duties of the Site Selection and Planning Committee shall be to solicit, receive and evaluate all bids for potential sites for the International Training Conference (ITC). After evaluation, the Committee shall present recommendations to the Board of Directors for review and consideration. The determination of the site for the International Training Conference (ITC) shall be by the vote of the Board of Directors. The Committee shall plan, coordinate and /or oversee the production of the ITC. The duties of the Committee shall be to oversee or plan the seminars of the Association, develop training programs for the Association, provide topical education to the membership via the Fire & Arson Investigator, and increase the development of educational material through the Association library. The Committee shall further encourage, solicit and assist in the development of new and innovative ideas for the education and training of the Association. Download the SOPs. The duties of the Website Content Committee are to work with the IAAI Executive Director, IAAI Director of Administration and IAAI website vendors to develop a strategy and protocol for receiving, reviewing, and approving resources and information for exchange to the IAAI membership via firearson.com. The Youth Fire Setting Committee is responsible for providing subject matter expertise in the area of juvenile fire setting (youth fire setters), as well as making recommendations to training, education, intervention, and prevention programs under consideration by the IAAI. Interested in joining an IAAI Committee? Learn more.